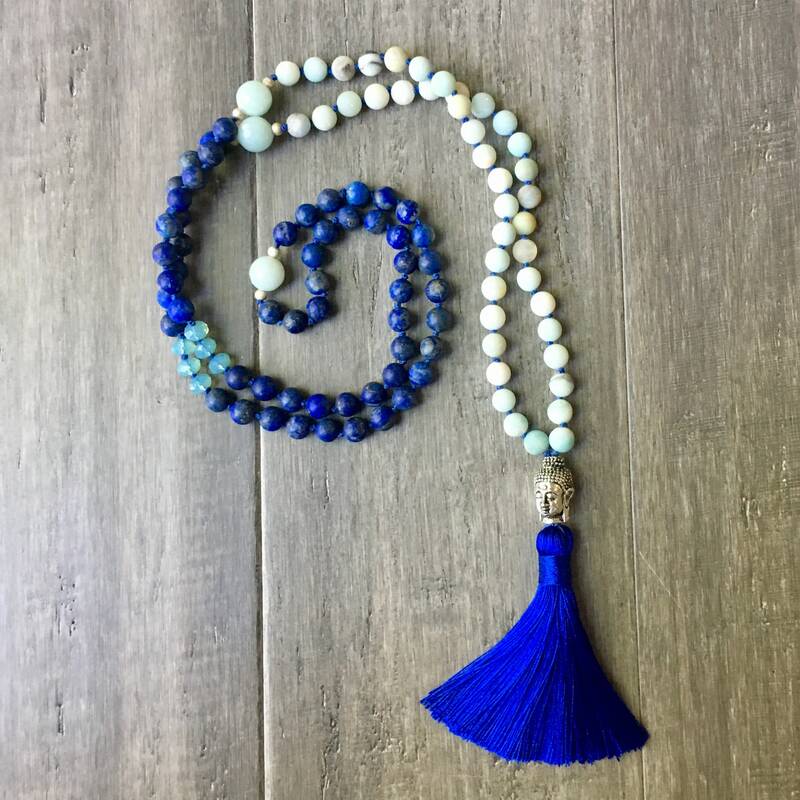 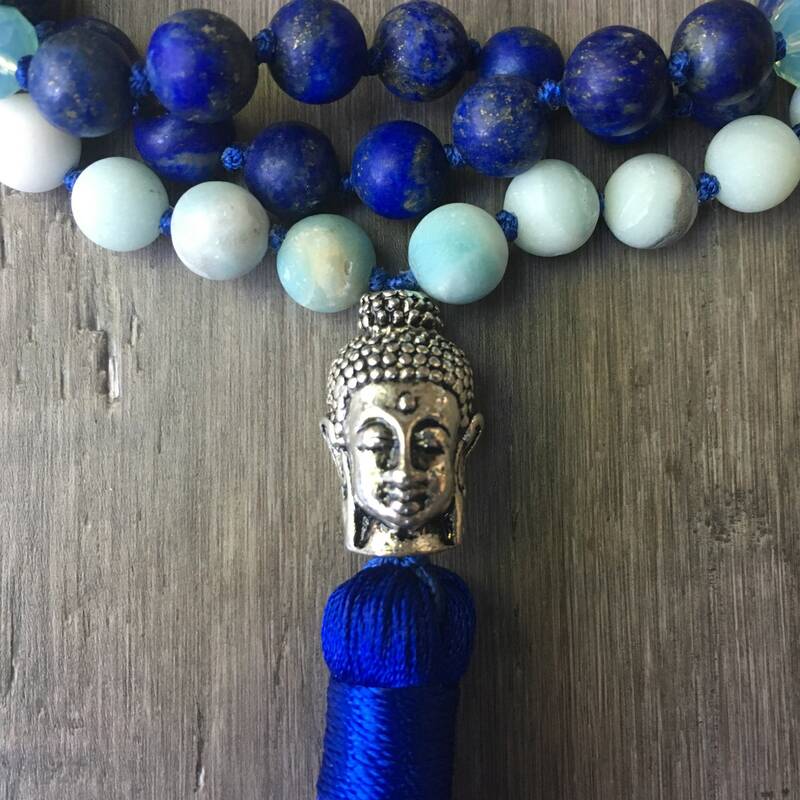 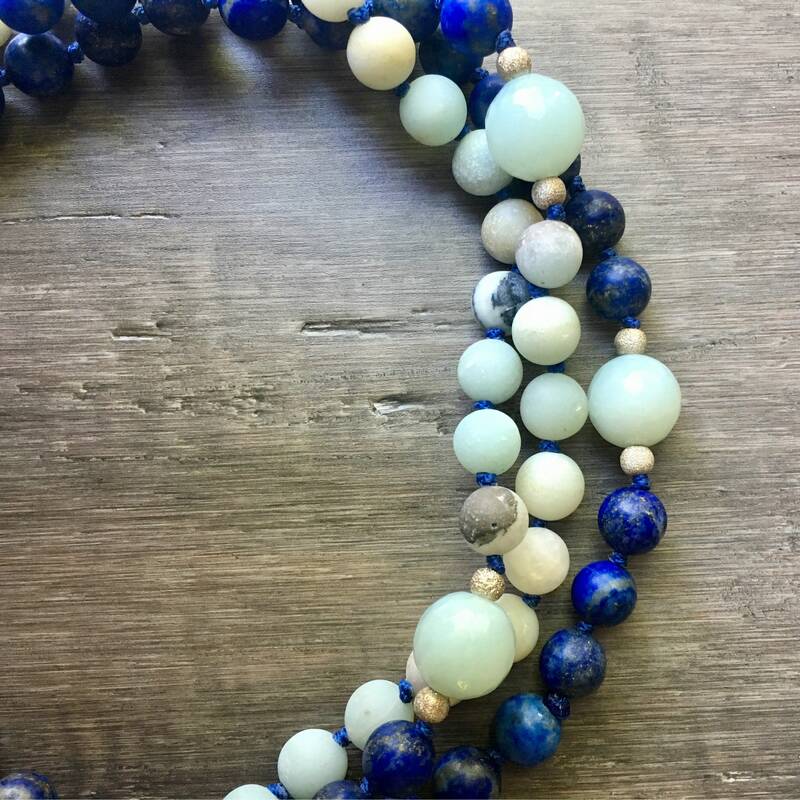 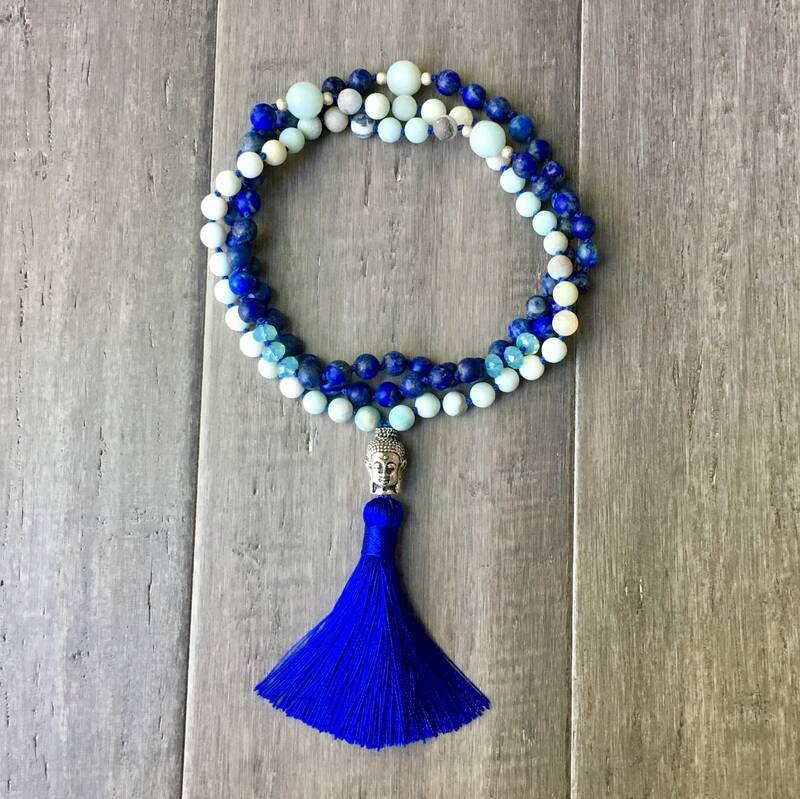 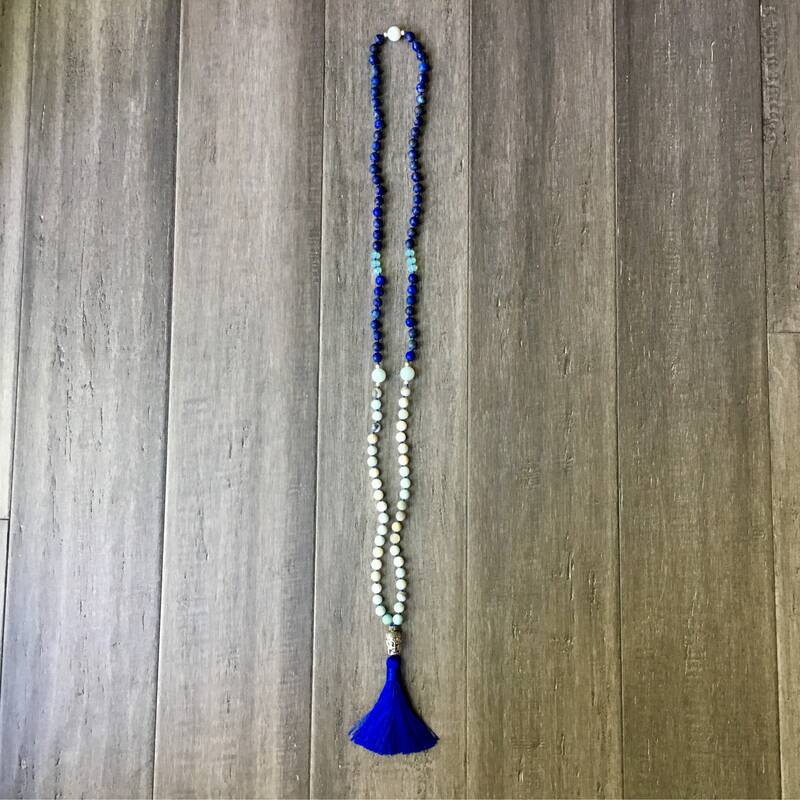 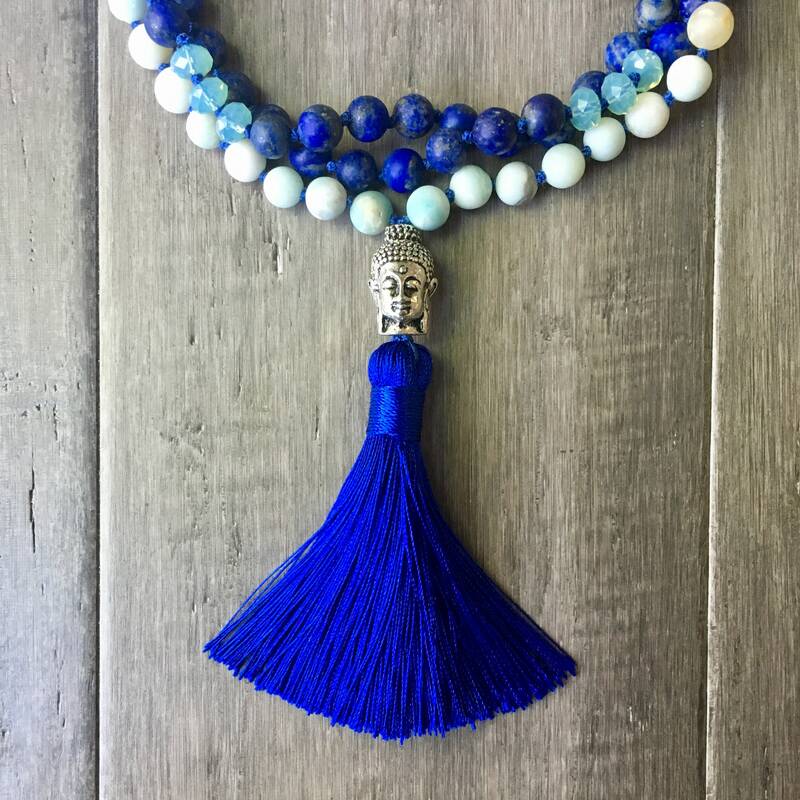 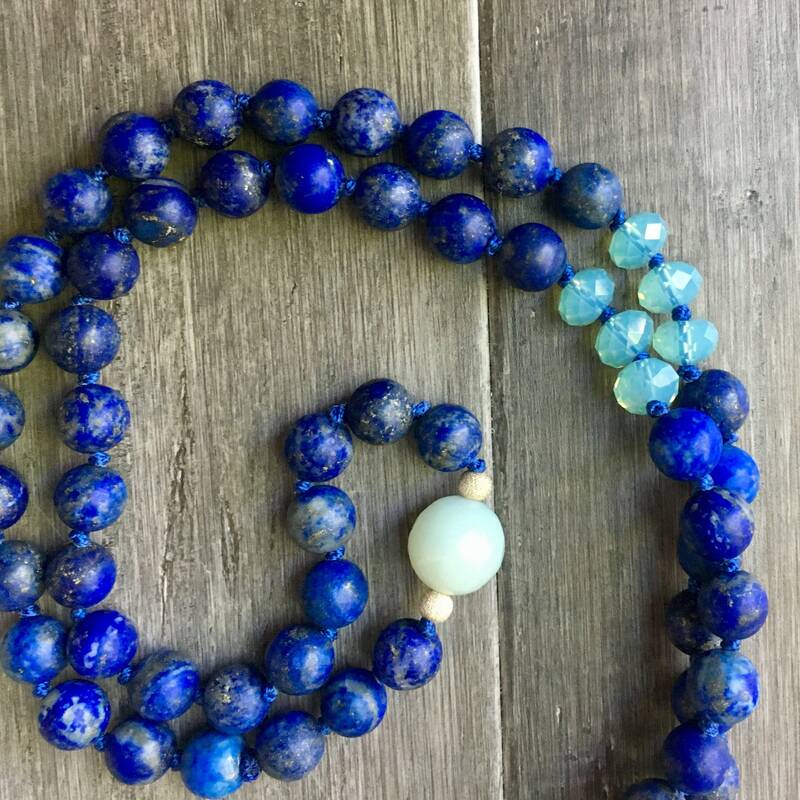 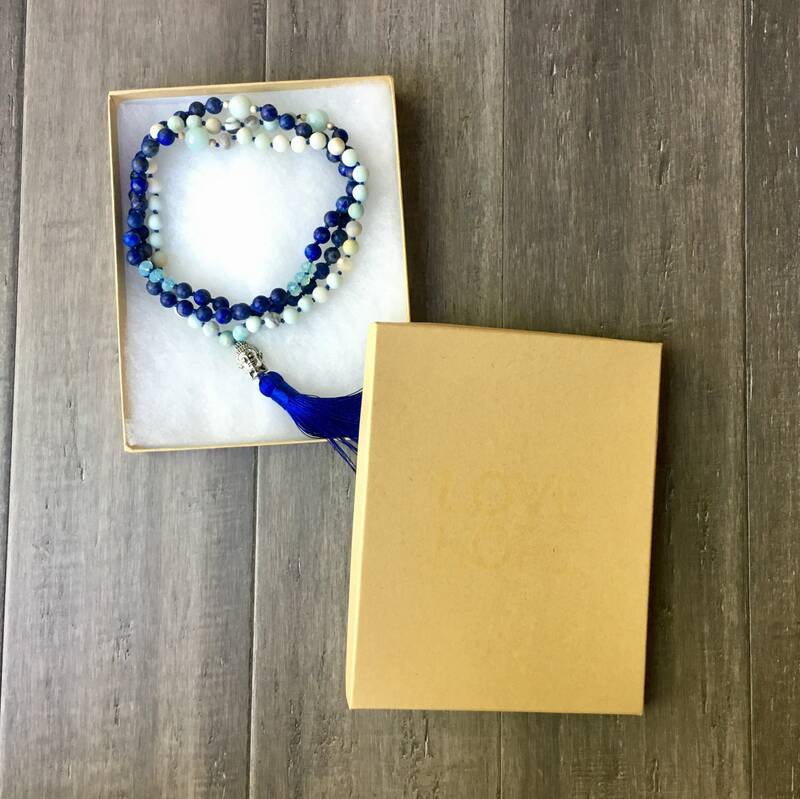 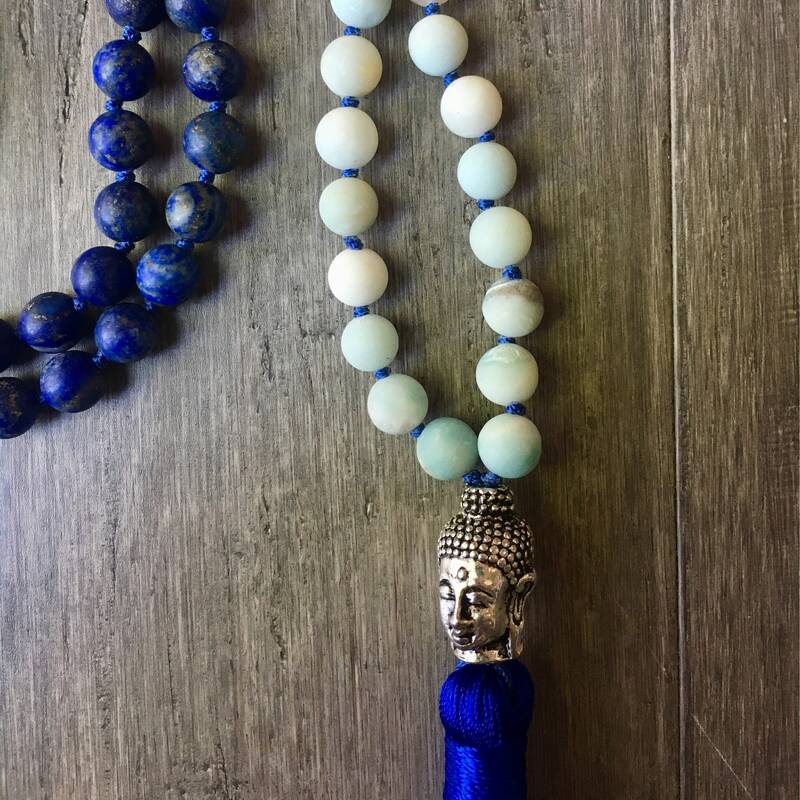 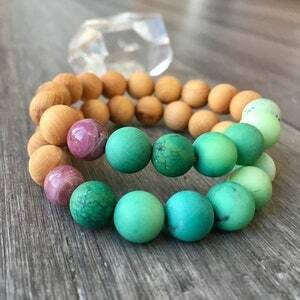 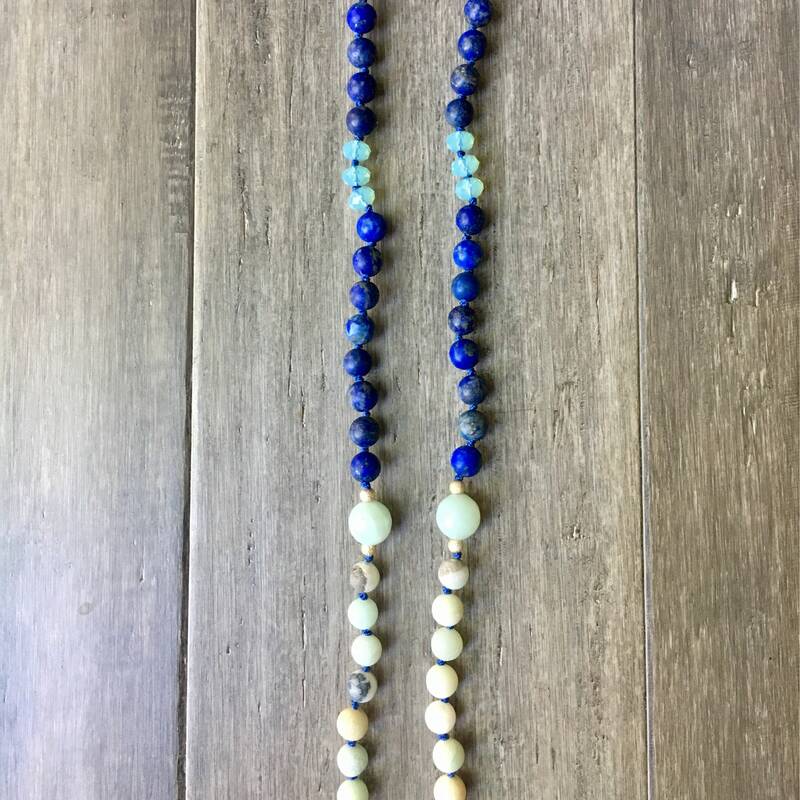 Harness power of the your Third Eye Chakra in this Mala Necklace. 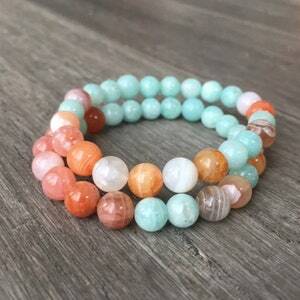 Amazonite is a soothing gemstone. 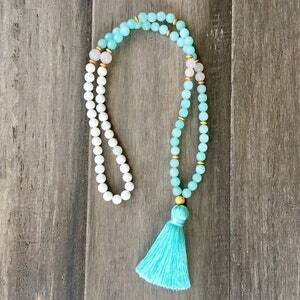 Dispelling negative energy, Amazonite assists in manifesting universal love. 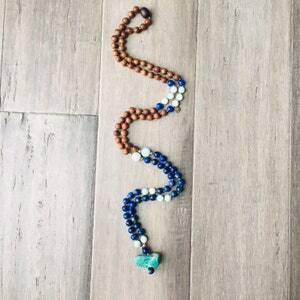 Bring more love and happiness into your yoga routine, you won't be disappointed.